Oklahoma Modern: Vitra. Save. Now. And we love sharing deals with our friends and readers. 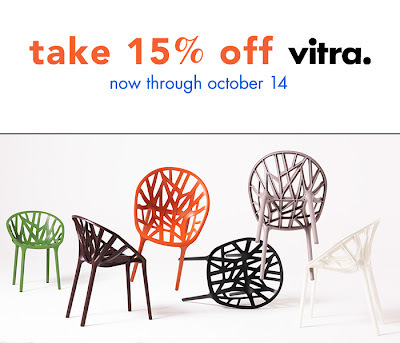 So read- and save 15% on Vitra now through October 14th at All Modern.com!